American’s best racing down under top stuff. | Talking Speedway, Speedway news from around the world! American’s best racing down under top stuff. Each year at this time we play host to many of the greats from right across the USA. 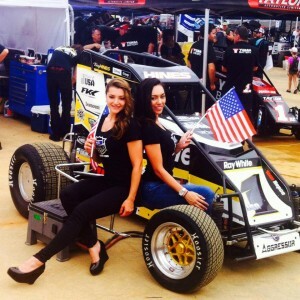 Current and past USAC and Outlaw Champions hit the tracks from Auckland to Perth, Brisbane to Sydney with stops in between in Victoria and South Australian. 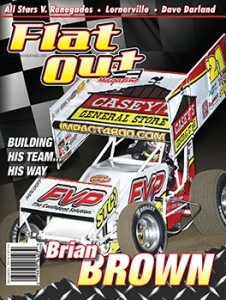 What more could race fans want the very best of the Outlaws headed by Donny Schatz, Daryn Pittman and Brad Sweet. KWS Champion Kyle Hirst, Tim and Brent Kaeding, the Wild Child Jac and son Sheldon Hudenschild .Danny Holtgraver and Danny Heskin. If this is not an awesome line up then add returning Aussie racers like our fabulous Madsen brothers Kerry and Ian , Lynton Jeffery and Glen Saville .and of course Brooke Tatnell . 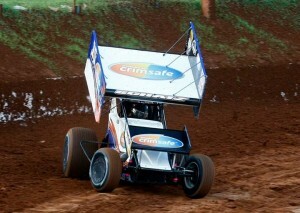 There will be a US sprintcar driver at a track somewhere in Australian over the holiday period and the reason they come across the Pacific in their off season is so they can keep their race skills at the highest possible level for the start of the 2015 American season coast to coast. The competition they face down under in New Zealand and Australia is fierce, no quarter given or asked for and the victory lane is where they all want to park it! Donny Schatz has been just unbelievable winning each of the six main events staged by in Brisbane and promoted by master promoter John Kelly. 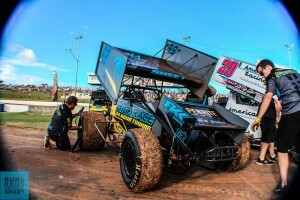 Brad Sweet has been the one to beat at Sydney’s Valvoline Speedway .Events like the World Series Sprintcars, the Scott Darley Challenge and possibly the biggest Sprintcar event in Australia the Lucas Oil Grand Annual Classic at Premier Speedway Warnambool will bring more exciting and ground rumbling sensations to Australian race fans. Schatz’s most recent win the National Sprintcar Open last night in Brisbane while underlining Schatz special talent it also showed the class of local Australian Sprintcar driver with McFadden and Veal beating home no less than 5 World of Outlaw winners . USAC and POWRi Speedcar drivers have also cross the Pacific and have started their down under tour in New Zealand .The current USAC Champions Rico Abreu, Darren Hagan the 2014 Chili Bowl and past USAC Sprint Champ Bryan Clauson head a team that includes Tracey Hines, the peoples Champ Dave Darland and the popular ex USAC Champ Jerry Coones Jr. The International POWRI World Midge Championship series has concluded in New Zealand for the USAC guys andafter a short break back in the States for the Chili Bowl they will again cross the Pacific and head to Archerfield in Brisbane for the Australian leg of the World Midget Champinship.Two shows in Brisbane and then they will head down into the magical Northern Rivers of NSW for two nights at the Lucas Oils Lismore Bull Ring . Joining the USAC Champions will be a team of New Zealand driver’s l Brad Mosen , Hayden William and Shayne Alach. Also touring but not part of the official NZ team, and you could well ask why is Michael Pickens driving for the Vernon and Vacey Race Team. 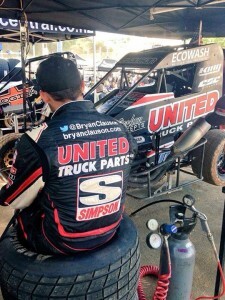 2013 USAC Champion Christopher Bell is expected to be in Australia at that time but as we go to press we understand he will be racing at Avalon Speedway in Sprintcar events and Grand National at Premier Speedway – Warnambool . Joining Bell will be 2013 World of Outlaws Champ Daryn Pittman .Big plus for the Sprintcars fans but a blow to all midget followers. This entry was posted in Powri World Midget Championship, World of Outlaws Sprintcars, World Series Sprintcars by admin. Bookmark the permalink.